The Merrion Centre is celebrating bringing another brand new retailer to Leeds with the launch of a significant Heron Foods store. The leading value grocery retailer will open a 2,988 sq ft grocery store, offering a choice of top quality food products at the lowest possible prices. 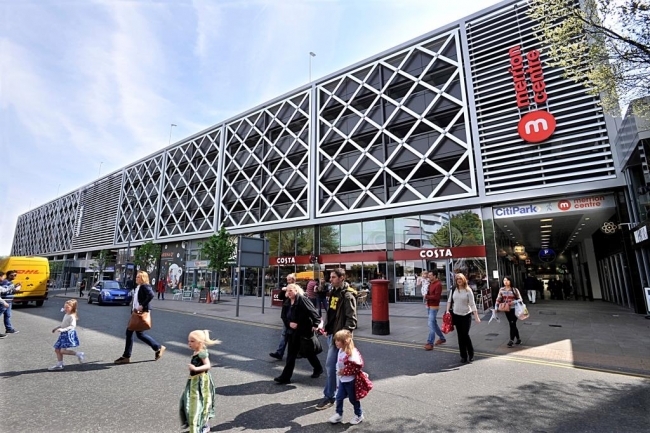 Heron Foods has been on a programme of expansion and has chosen Leeds’ longest-established shopping centre as its first base in the city centre due to its high footfall and popularity with shoppers. The new Heron Foods store will create 16 new jobs from the local area and will be a key destination for city centre dwellers, especially Leeds’ vibrant student population who will have access to a wide range of discounted chilled foods, frozen foods and grocery products. The opening of the new store in November will mark the eighth new brand to have opened its doors in the Merrion Centre over the last 12 months. The mall has also recently welcomed the only Leeds United Shop in the city centre and will also soon become home to The Dockyard, the popular alehouse that until now could only be found in Manchester. Mike Igoe, commercial director for Heron Foods, said: “We are delighted to be bringing our fantastic mix of great customer service and exceptional value to Leeds shoppers. Heron Foods is committed to providing top quality food products at the lowest possible prices every day in every store. “Heron Foods is always looking for the best sites to open new stores and moving into the Merrion Centre was a great opportunity for us due to its fantastic location and popularity. Helen Green, associate director at Town Centre Securities, owner of the Merrion Centre, said: “We are really pleased to be welcoming yet another major name to the Merrion Centre. We’re continuing to drive forward on our mission to house the best mix of retail outlets and leisure facilities in Leeds.